December 5-United Nations (UN) in Nepal, and partners, urged the Government of Nepal to mainstream volunteerism within the current federalism structure. 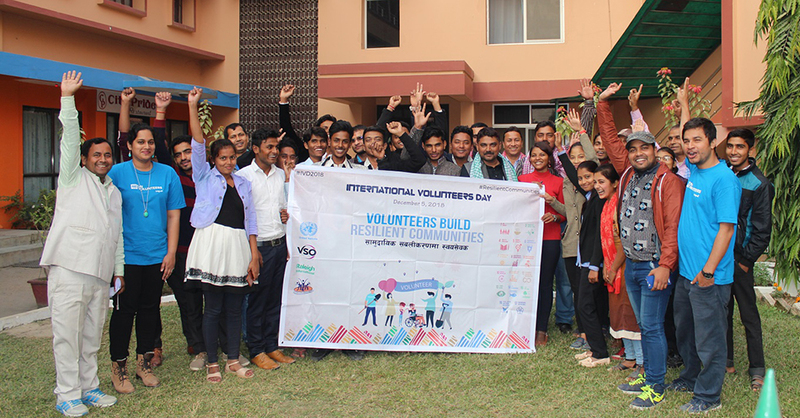 On the occasion of International Volunteers Day (IVD) 2018, UN and partners gave orientations on resilience against natural disaster; entrepreneurship and economic growth; and social cohesion in all provinces to mark the day. The event, with representatives from the local and provincial government and National Youth Council, sought deeper commitments towards working with volunteer groups and urged to promote volunteerism throughout the country.